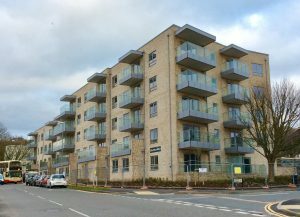 The first tenants are due to move into the 57 newly built flats in Whitehawk after completion of the biggest council housing scheme in Brighton and Hove in recent years. Brighton and Hove City Council said: “We’ve built 57 new homes at Kite Place consisting of 10 one-bedroom, 33 two-bedroom and 14 three-bedroom flats. “Each of the properties has a balcony or patio, some with sea views, and they are designed to be energy-efficient, with communal boilers providing hot water and heating. “Six of the homes are designed for wheelchair users and their families, with a number of mobility-rated units available for people needing accessible shower rooms. “All the rest are built to the latest ‘accessible and adaptable’ standards, with lifts to all floors. “Kite Place is the largest development in the council’s New Homes for Neighbourhoods building programme, which aims to build at least 500 new homes on council land to provide much-needed affordable rented housing. Building began in February 2016. “It’s situated off Whitehawk Road, on the site of the former Whitehawk Library which moved to new premises. “There are good bus services on the doorstep, plus cycle storage, and a car club vehicle will also be based at the site. “The first tenants in each of the flats will receive free car club membership for two years. “The first Kite Place tenants are due to move in over the next few weeks. The homes were let through Homemove, the council’s choice-based lettings system. “Another 29 new council flats are nearing completion in Whitehawk, at Hobby Place, next to Whitehawk Community Hub. The one, two, and three-bedroom homes are due to be finished next month. Refreshing to see a building faced with bricks; they’ll look good for many years to come (unlike stucco which seems to attract dirt and moss very quickly). Does anyone know how much this development cost? Will these tenants have “right to buy” option? Lucky for them if they do.